I am heading into week 3 of the diet and I will say that I am liking it just as much as the first week! The 4 pound weight loss last week is definitely helping with the motivation :) If you want to see the progress, check it out here. Yesterday was my reward day and I am definitely thankful for that especially this week, where I had some strong cravings! For my reward day I still had an egg white omelet for breakfast, but had a small blueberry muffin on the side. I had made them for the kids and they looked yummy, so I had one, that's what reward day is all about! I also had a few scoops of peanut butter with some M&M's on it. This helped my peanut butter and chocolate craving that I did so good staying away from during the week! Then I had an Italian from Amatos as I had planned for lunch and it was really good! For dinner we went to a friends house and had a fabulous spaghetti and meatball dinner and it was delicious! I had a salad first and kept to just one helping of the meal and one piece of garlic bread. It was perfect! We had a few drinks and a yummy dessert for the perfect end to reward day! Now it is Sunday and I am back at it! Breakfast (meal 1) - Trying a chocolate protein powder overnight oats, we'll see! Lunch (meal 3) - I am going to try a cross between the Turkey veggie medley recipe** and the Buffalo garlic turkey burger recipe** if it is a success I will post the recipe next week! Breakfast (meal 1) - I am experimenting with a few different breakfast ideas this week, but my fall back will be cottage cheese and fruit and of course if I am finally successful with any of these ideas you will hear all about! Lunch (meal 3) - Lunch combo experiment! Dinner (meal 5) - Roasted Shrimp and Broccoli found this recipe on Pinterest and it is the perfect Low carb meal or add some rice and make it high carb, which I think we will do on Friday! Lunch (meal 3) - Protein shake or snacks. Dinner (meal 5) - Dinner out after Olivia's winter ballet performance. For my reward day, I can't plan a ton because I am not sure how the day will play out. Olivia has to be at her winter ballet dressed/hair and makeup by noon and then she has a break (I think, from 2:30-3:30/4?) But I don't know that we will head home or not. So I will probably pack snack stuff for us to munch on. After we will let her pick somewhere to eat to celebrate her performance! **Marked recipes can be found in either Choose to Lose or Choose More, Lose More for Life books by Chris Powell. Recipes that I enjoy will start popping up in the Choose to Lose posts! Last week, I highlighted the Buffalo Garlic Turkey Burgers here. As usual, I am linking up with the Laura's! 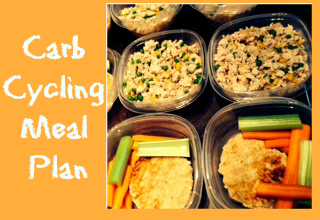 Check out tons of other meal plans at Mommy Run Fast and I'm and Organizing Junkie! Awesome job on the 4 pounds!! It's really cool seeing how you manage the carb cycling plan...you're doing a great job! Your reward day was clearly very rewarding...yum! Congrats on your weight loss! Thanks, Jennifer! It does take some time, but it saves time during the week for sure! Thanks for stopping by! Wow, you've got all your meals planned out - I'm glad to see it is paying off!